Dan’s clients appreciate his creativity, efficiency and responsiveness. Dan gets financing deals done, even in the most challenging transactions. Dan serves as the leader of Husch Blackwell’s banking and finance practice. In his second decade of practice, Dan represents lenders and borrowers in all aspects of commercial real estate lending. Dan focuses on understanding each client’s unique goals and risk tolerances. Through creative problem-solving and consensus-building, Dan gets his client’s deals done. Dan also uses legal project management tools, to ensure that loans close on time and within budget. Lenders and borrowers trust Dan to represent them in the origination and servicing of construction, bridge, mezzanine and permanent loans, as well as syndicated and participated credit facilities. Dan has particular expertise in loans secured by multifamily, office, industrial, self-storage, manufactured housing, hospitality, resort, and senior housing properties. Dan also helps his clients resolve troubled commercial loans, through loan sales, workouts, foreclosures, collections and lender-liability litigation, mechanic’s lien litigation, contested receivership litigation, bankruptcy representation, and REO sales. Represented a publicly traded self-storage REIT in negotiating a $320 million mortgage and mezzanine loan from a life company lender, secured by 66 self-storage properties across the United States. Represented an EB-5 fund the documentation and due diligence of a $115 million mezzanine loan and preferred equity investment for the construction of a hospitality project in California. Represented a private industrial REIT in negotiating a $105 million term loan from a life company lender, secured by 7 industrial properties across the United States. Represented commercial bank in the documentation and due diligence of a $60 million syndicated construction loan, secured by a multifamily project in Tennessee. Represented commercial bank in the documentation and due diligence of a $30 million construction loan, secured by a senior housing project in Ohio. Represented commercial bank in the documentation and due diligence of a $29 million construction loan, secured by a condominium-hotel project in Utah. 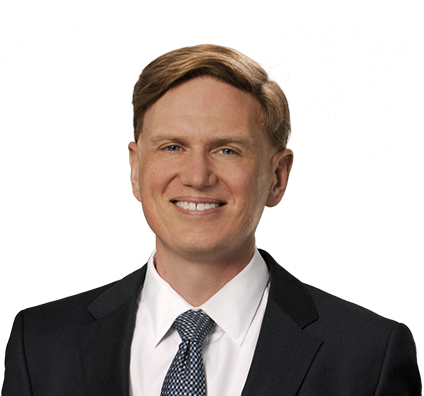 Prior to practicing law, Dan worked in the finance industry. He consulted in the areas of business valuation, quantitative modeling, and price and risk forecasting at The International Finance Corporation (World Bank Group), The Export-Import Bank of the United States, ICF International, and McGladrey. Represented national and international lenders in reviewing and negotiating several unsecured syndicated credit facilities, in excess of $100 million. Documented, performed due diligence and closed over $80 million in commercial loans for community banks and bridge lenders. Negotiated and documented over $150 million in complex, creative workouts for distressed commercial loans for regional and community banks. Documented and successfully completed over 75 commercial foreclosures for regional and community banking clients. Represented regional bank in obtaining relief from stay in contested Chapter 11 cases.